The day a teen gets his or her drivers license is one of the most anticipated and unforgettable. Unfortunately, the excitement to become a road warrior can be a liability when it comes to safe driving. Young and inexperienced drivers, due to immaturity, lack of practice and underdeveloped decision-making skills, often contribute to motor vehicle accidents. Data shows that inexperienced driver accidents are a serious problem on American roads and here in Arizona. According to the US Centers for Disease Control (CDC), about 2,700 teens (16 19) were killed in traffic accidents in 2010 and over 280,000 were treated in emergency departments for motor vehicle injuries. Here in Arizona, 2011 saw 84 drivers aged 24 or younger killed and more than 7,600 were injured, according to the Arizona Department of Transportation (AZDOT). The AZDOT data doesn't reflect the many passengers of teens that may have been killed or injured. The ugly truth is that driver inexperience can cause serious accidents. If you or someone you love was struck by a vehicle driven by a young or inexperienced motorist, you may have grounds for legal action. 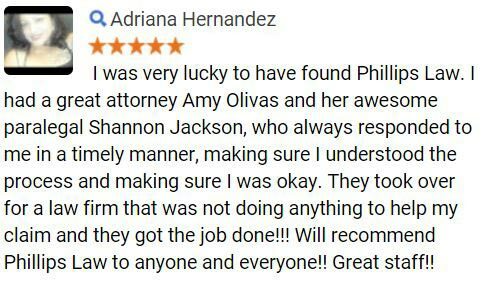 The Arizona auto accident attorneys at Phillips Law Group have the resources to fully investigate your accident and determine all of the contributing factors that led to your injuries. Find out how we can help. Fill out our confidential FREE CASE REVIEW form to your right to get started. According to the CDC data from 2010, seven teens aged 16 19 were killed daily due to fatal car accident injuries. The same data shows that teen drivers in the same age group are 3x more likely to be involved in a crash than drivers 20 and older. There are several possible causes for these alarming statistics. The CDC reports that teen drivers carrying passengers are at higher risk for causing a crash due to the increased distraction. Drivers in the first few months of being licensed have the highest risk for an accident. These are just some of the risk factors involved in inexperienced driver accidents. There were over 167,000 drivers under the age of 20 in Arizona in 2011. These inexperienced drivers simply may not have the decision-making abilities to know how to handle a motor vehicle in a risky driving situation or in the threat of a car accident. If you've been injured, you may have grounds for legal recourse. As with any auto accidents, the circumstances of the crash determine how severely those involved may be injured. Inexperienced drivers may get into a variety of types of accidents that would be unusual for a seasoned motorist, and teen drivers, in particular, are more likely to drive under the influence of drugs or alcohol and neglect to wear a safety belt. All of these factors can end in severe injuries for both the inexperienced driver and others involved. Driver inexperience can easily lend itself to negligence, and in many cases, recklessness. If you have been hurt in an accident with an inexperienced driver who was driving without regard to safety, then that driver may be liable for the pain and suffering you have endured, as well as medical expenses and lost wages for time you are unable to work. Safety on the roads is extremely important. When a young or inexperienced driver acts recklessly or negligently and causes an accident, the results can be devastating. 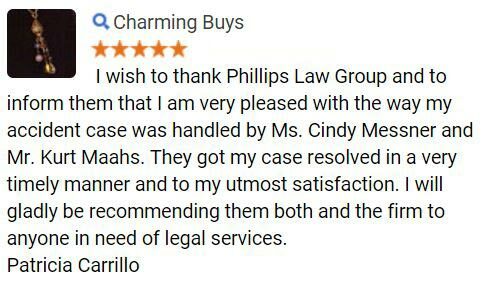 If you or someone you love has been struck by an inexperienced driver and suffered injuries, the compassionate, dedicated personal injury attorneys at the Phillips Law Group may be able to help. 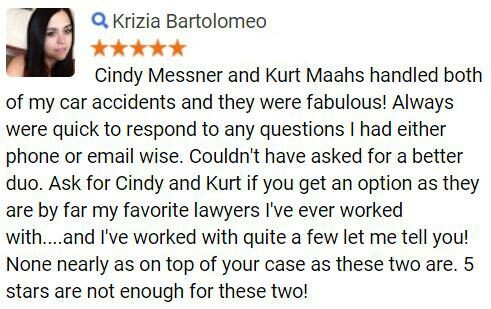 Call us toll-free, 24 hours a day at 1-800-706-3000 to discuss the details of your situation and determine whether you have a case. 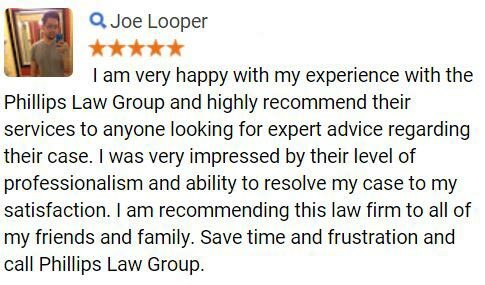 To get started online, submit your details immediately through our FREE CASE REVIEW form at the top of this page and we will contact you.